Day #2 – July 8, 2014 #OperationProtectiveEdge | لماذا غزة؟ Why Gaza? 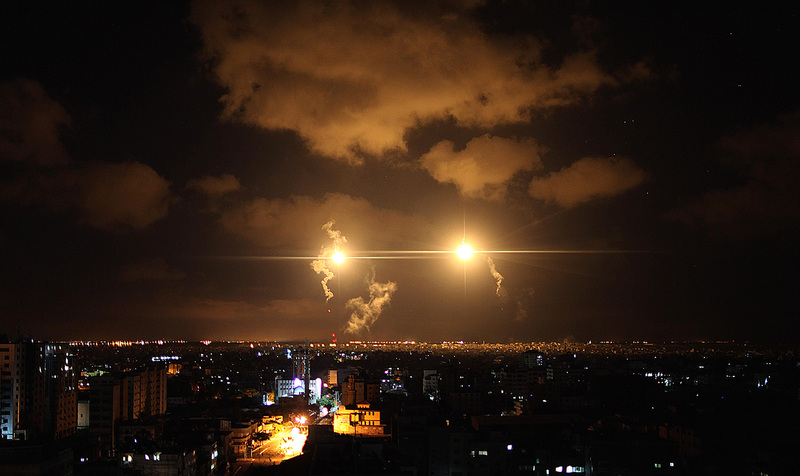 Aircraft flares illuminate the sky following an Israel airstrike over al-Suaciye district of Gaza City on July 18, 2014 in Gaza. Photo credit – Juliana Jiménez, former Slate photo editor. Three years ago, Palestinians in Gaza were living and dying under a barrage of Israel’s sophisticated weaponry. Social media was the second battlefield. An American tweeted approvingly in reply. @IDFSpokesperson Good luck, IDF, from a christian living in the USA. Obama may hate the jewish people but I still love them. Happy hunting. @CBWGaTiger @IDFSpokesperson sorry but no “Christian” would ever say “happy hunting”…you need to read your motherfucking bible more…. 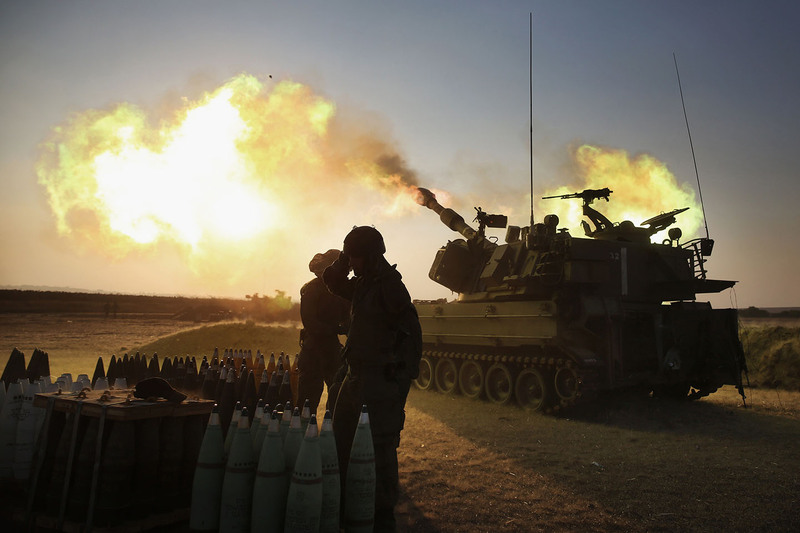 Israeli soldiers of the 155mm artillery cannons unit fire towards the Gaza Strip from their position near Israel’s border with the coastal Palestinian enclave, on July 21, 2014. World efforts to broker a ceasefire in war-torn Gaza gathered pace as Israel pressed a blistering 14-day assault on the enclave, pushing the Palestinian death toll to 558. Photo Credit – Juliana Jiménez, former Slate photo editor.